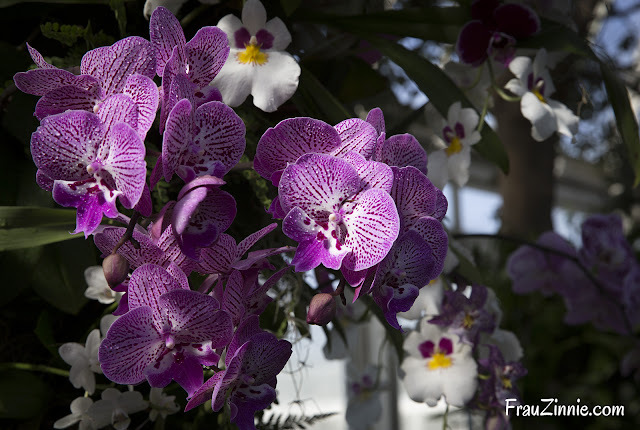 'Butterfly Lip' or 'Big Lip' phalaenopsis, shown here in purple, features a wider lower lip instead of the traditional tubular lip. In the background are pansy orchids. 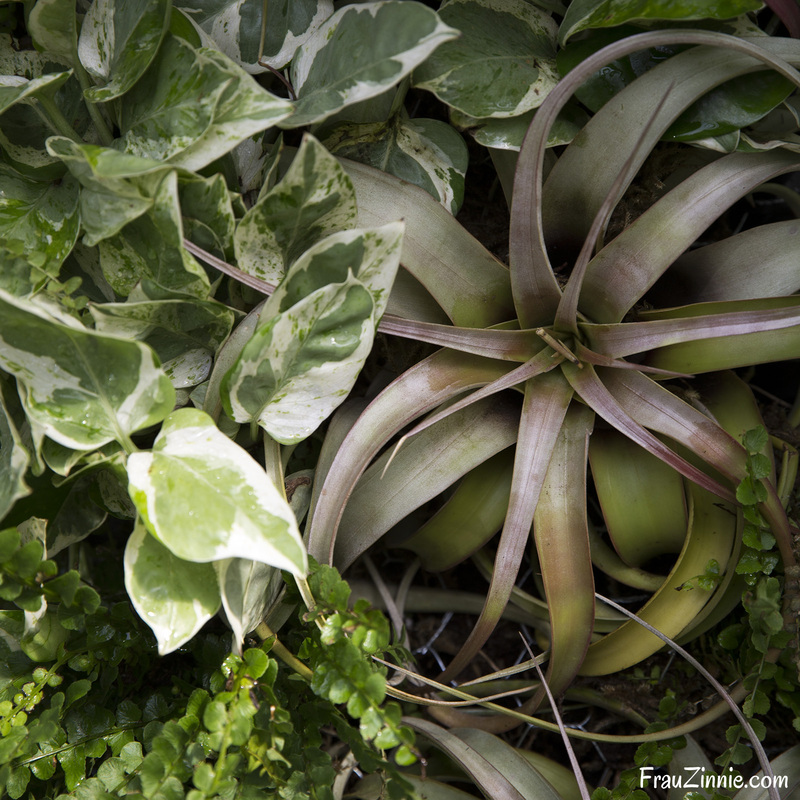 Both varieties are featured on the Arches display at the NYBG Orchid Show. 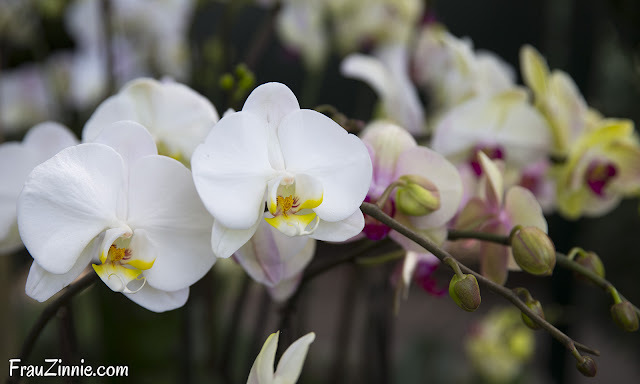 Traditional phalaenopsis feature a closed, tubular lip. BRONX, N.Y. — Among the dancing ladies, rainbows, canes and corsages at the New York Botanical Garden's 17th annual Orchid Show, keep an eye out for 'Butterfly Lip' phalaenopsis. Also referred to as 'Big Lip' phalaenopsis (shown above), this new variety features wide, flat lips instead of the traditional closed tubular lower "lip" (seen at right). 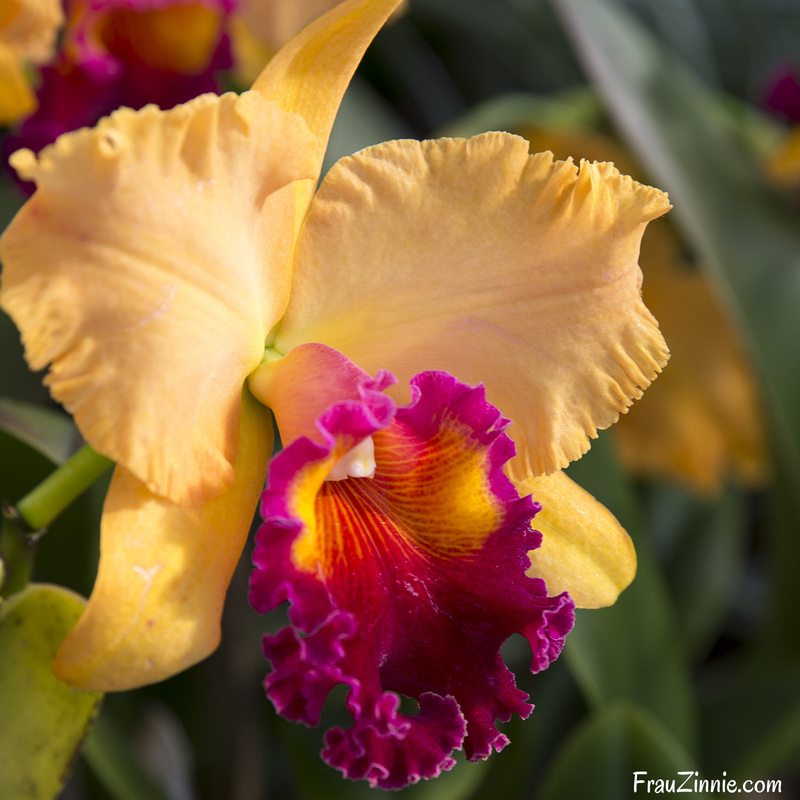 It is a popular new trait in orchid breeding. 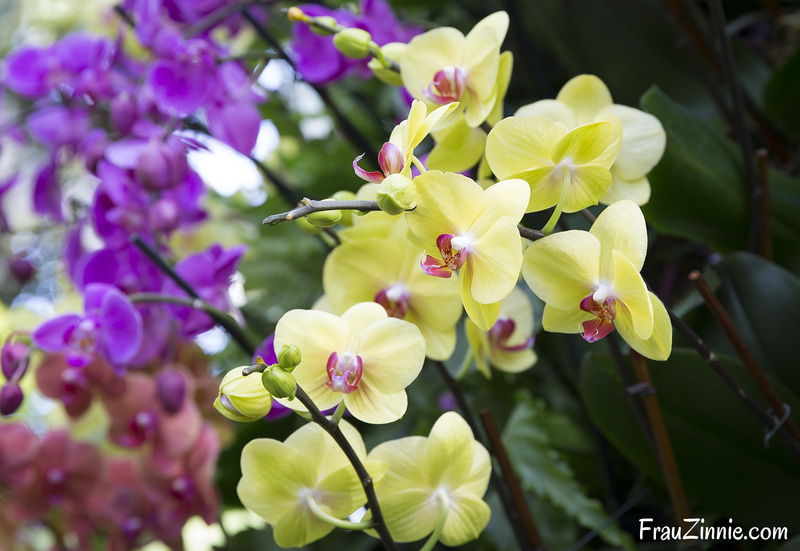 "Even though the phalaenopsis is the most widely cultivated of all orchids, it is still as popular as ever and continues to be grown and bred. 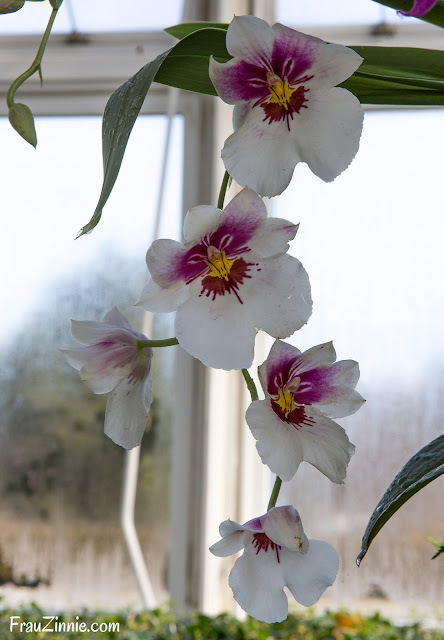 Just when you think you have seen it all, new patterns and colors emerge," said Marc Hachadourian, NYBG’s Director of Glasshouse Horticulture and Senior Curator of Orchids. The original plant that displayed the wide lips came from the United States; hybrids are now being produced by breeders in Taiwan, according to Hachadourian. This is not the first time a mutation has excited the orchid community. The ink spot mutation was discovered in Taiwan from a plant that exhibited flowers with "twisting, blotched maroon flowers," Hachadourian said. When used in breeding, "it started to create unbelievable patterns never seen before. It signaled a new direction in breeding." 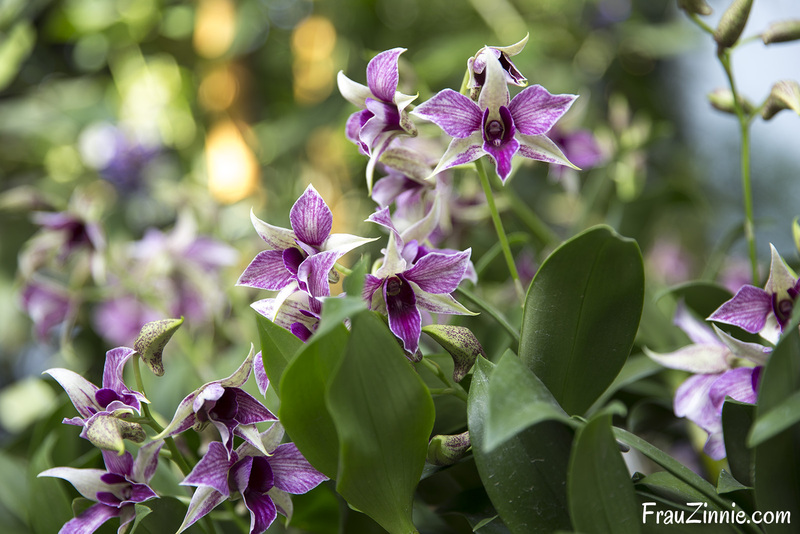 Across the world, there are more than 30,000 natural species of orchids and about 100,000 manmade hybrids. "Orchids have the smallest seeds of any plant known. They would make a poppy seed look like a coconut," he said. All orchids seeds are less than a millimeter in diameter and are dispersed by the wind. 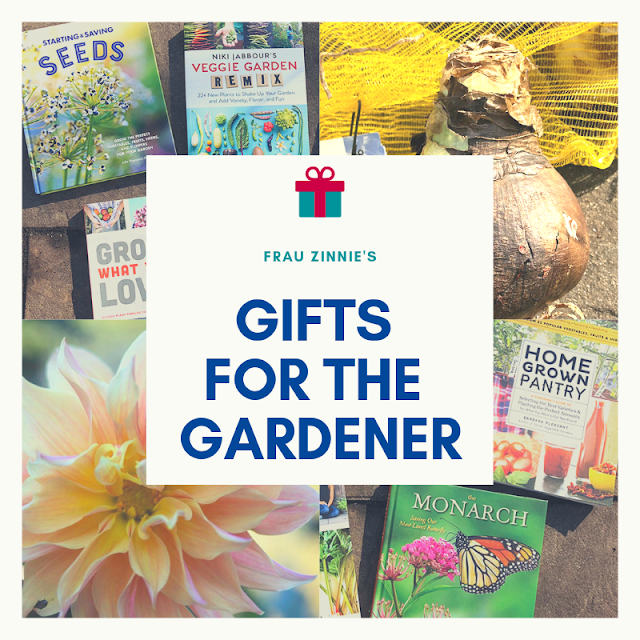 "But for an orchid to actually grow from seed it has to have a specialized relationship with particular kinds of fungi that the orchid needs for the seeds to germinate. If that fungus doesn't exist, that seed can't germinate and grow." For some orchid species, seed pods can contain as many as one million seeds, but to find that fungus, orchids take a "shotgun" approach. "To find the fungus it has to cast millions of seeds on the wind, hoping that one of them will land on the right spot, find that fungus and then be able to germinate and grow," he said. 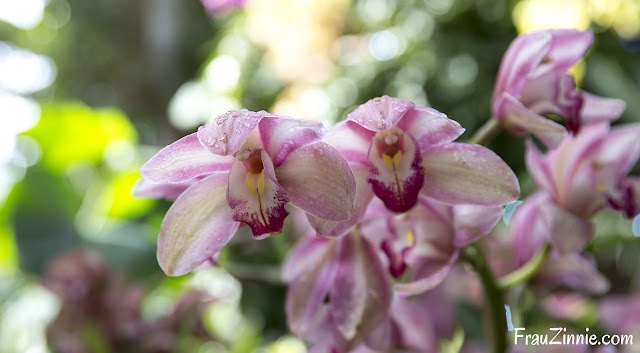 This year's theme —"The Orchid Show: Singapore" — celebrates the country where the orchid is the national flower. The show showcases the NYBG's take on the Arches at the Singapore Botanic Gardens' National Orchid Garden and the Supertrees of Gardens by the Bay. The Arches at NYBG are modeled after the Arches at the Singapore Botanic Garden. 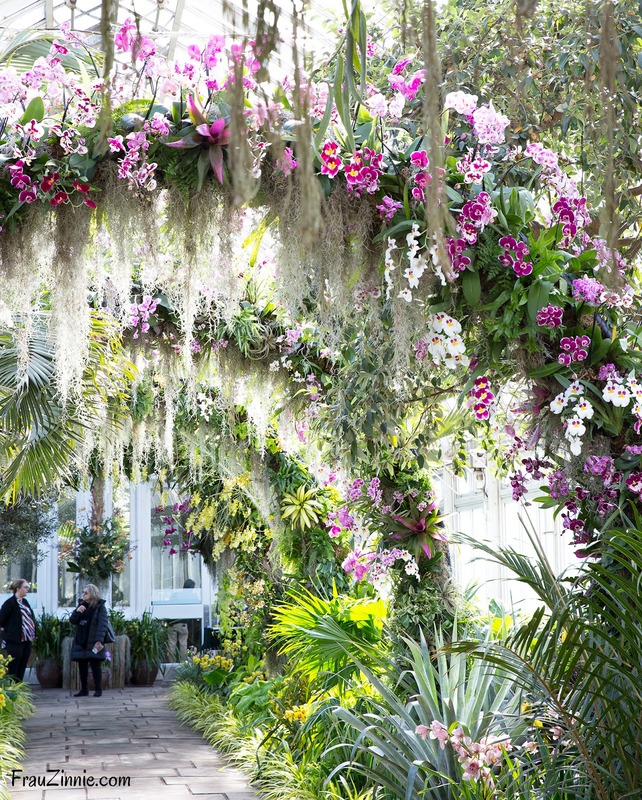 Tropical plants mingle with orchids on the Arches. The Arches recreated in the Enid A. Haupt Conservatory consist of several varieties of orchids along with other tropical plants — creating a celebration of tropical horticulture in all its forms. 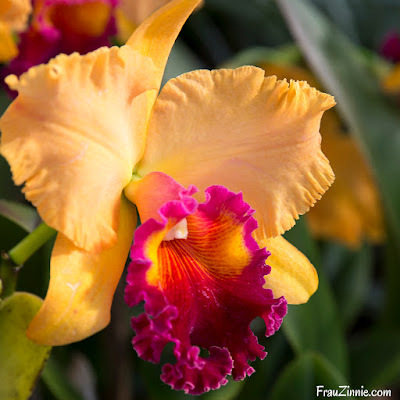 On the Arches, expect to find the newer 'Butterfly Lip' phalaenopsis along with pansy orchids (Miltoniopsis), which get their common name due to their similarity to pansy patterns. The pansy orchids also happen to be tremendously fragrant. 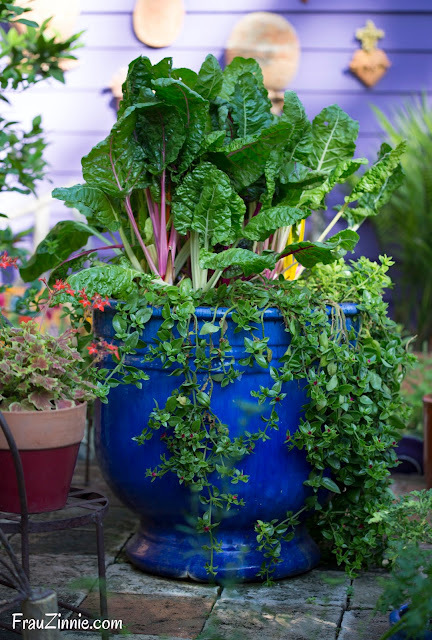 "What I love about this show is that as the sun moves throughout the day, and some plants are in the shade and others are coming into the sun, the fragrance and smell will change as well," said Hachadourian. While the Singapore Arches consist of plants that are mainly yellow and gold toned, NYBG's arches begin with gold-colored elements and then transition to other colors. This showcases the many orchids found within the NYBG collection in addition to orchids brought in for the display. "We have one of the larger institutional orchid collections of any botanical garden in the world and that diversity will be showcased in other areas [of the conservatory], while in these houses it's really about a celebration of color, texture, pattern and the gardens of Singapore," he said. Pansy orchids resemble the "faces" of pansies. 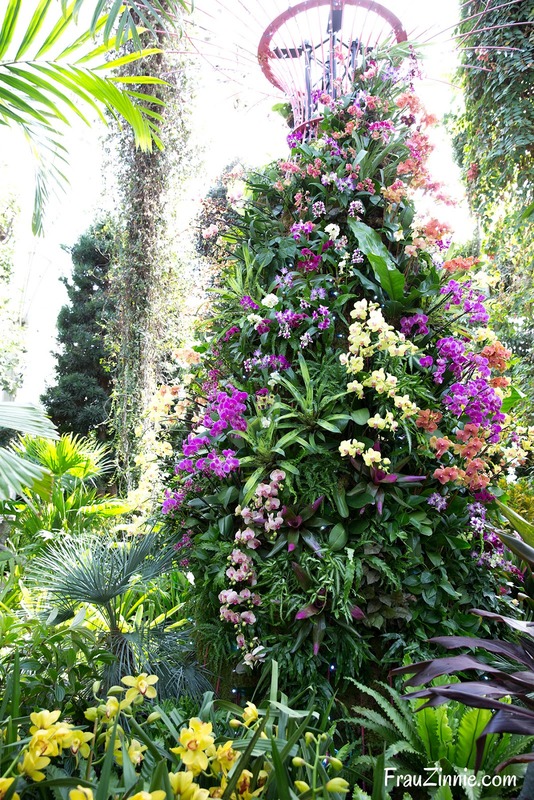 Part of this year's orchid show are two recreated Supertrees (shown above), which are designed with a variety of epiphytes. One greets visitors in the reflecting pond at the entrance to the conservatory in the Palm Dome. The second allows for closer access to the structure with a meandering path alongside it, something that is "very Singapore," according to Hachadourian. "There's this feeling that you are literally floating in a sea of orchids and tropical foliage is all around you," when visiting either Gardens by the Bay or the Singapore Botanic Garden. Visitors are encouraged to use their cell phones to call, listen and learn how this orchid is used in traditional Chinese medicine. The NYBG also does an excellent job of providing signage and learning opportunities for visitors. "This is a group of plants that we bring people in to really wow them with our horticultural ability but then also teach them about plant biodiversity, why it is important and what our role is here in the New York Botanical Garden," said Hachadourian. The Orchid Show is the last exhibit that will be in the Palm Dome before it undergoes restoration in late April. (Don't worry — the majority of the 55,000-square-foot Haupt Conservatory surrounding the two courtyards will remain open during the work.) 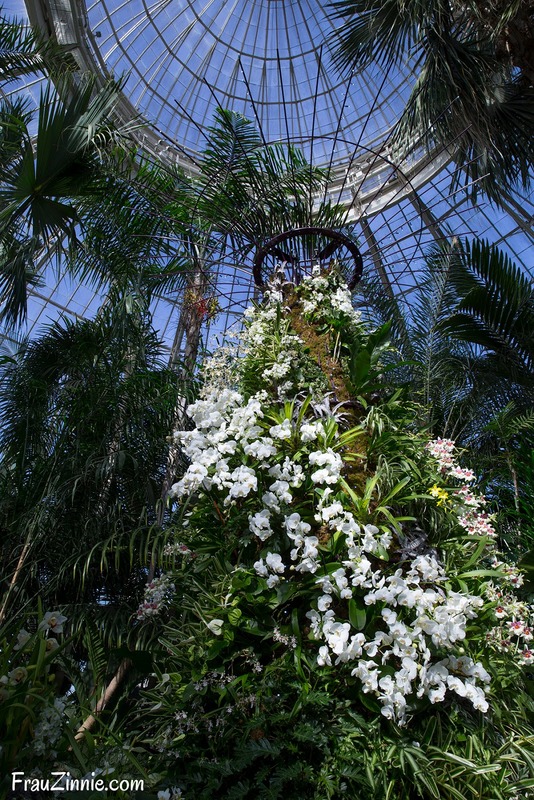 The orchid show was developed in partnership with Gardens by the Bay and the Singapore Botanic Garden, where the National Orchid Garden is a leader in orchid hybridization.